Free up space on your computer with an external hard drive. With storage capacities ranging from 500MB to 10TB, external hard drives can be an easy way to ensure your vital information is secure. We’ve tested desktop external hard drives, portable hard drives and wireless storage devices. Snapshot: The Seagate Backup Plus Desktop Drive is a 5TB external hard drive without a Thunderbolt port. How fast does it work? Snapshot: The SanDisk Connect Wireless Media Drive is a 64GB wireless hard drive that has SSD and SD card storage. How well does it perform? Snapshot: The SanDisk Connect Wireless Stick is a 128GB wireless portable storage device that has SSD storage. How well does it perform? Snapshot: The WD Elements Desktop WDBWLG0030HBK is a 3TB external hard drive without a Thunderbolt port. How fast does it work? Snapshot: The Seagate Expansion Drive is a 5TB external hard drive without a Thunderbolt port. How fast does it work? Snapshot: The LaCie Fuel is a 2TB wireless portable storage device that has HDD storage. How well does it perform? Snapshot: The Verbatim MediaShare Wireless Go Portable is a wireless portable storage device that has SD and USB storage. How well does it perform? Snapshot: The Kingston MobileLite Wireless G2 is a wireless portable storage device that has SD and USB storage. How well does it perform? Snapshot: The WD My Book WDBFJK0040HBK is a 4TB external hard drive without a Thunderbolt port. How fast does it work? Snapshot: The WD My Book WDBFJK0060HBK is a 6TB external hard drive without a Thunderbolt port. How fast does it work? Snapshot: The WD My Passport Wireless is a 2TB wireless portable storage device that has HDD and SD card storage. How well does it perform? Snapshot: The Lenovo ThinkPad Stack Wireless Access Point with 1TB Hard Drive Kit is a wireless portable storage device that has HDD storage. How well does it perform? Snapshot: The Corsair Voyager Air is a 1TB wireless portable storage device that has HDD storage. How well does it perform? Snapshot: The Seagate Wireless is a 500GB wireless portable storage device that has HDD storage. How well does it perform? What’s an external hard drive? Need more space on your computer? Or are you after peace of mind your data is safe if your PC crashes? An external hard drive might offer the answer. With storage capacities generally ranging from 500MB to 10TB, external hard drives can be an easy way to ensure your vital information is secure. 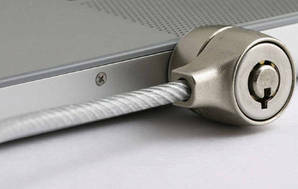 They’re also good for storing large or only occasionally accessed files, giving you more room on your PC. If you want to take your data with you, a portable hard drive might be more suitable. These are physically smaller external hard drives and don’t require a power supply like standard external hard drives. External hard drives usually have a 3.5 inch disk, whereas a portable hard drive disk is usually 2.5 inches in diameter, making it easier to carry in a pocket or bag. 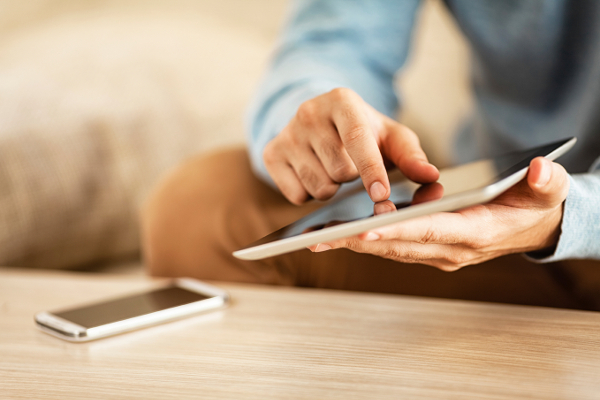 Older portable storage devices usually had smaller capacities compared to standard external hard drives, but advances in technology have closed this gap. External drives connect to your computer using either a wired or wireless connection. Most external hard drives connect via USB and some have a separate power supply cable. A wired portable hard drive connects to your computer via a USB cable but doesn’t need an additional power supply. A wireless portable storage device is a portable hard drive with built-in WiFi adapter and a rechargeable battery. They’re great for travel, as they don’t require cables. Basically, they’re portable hard drives with built-in WiFi adapters. This allows them to wirelessly connect to your home network, or create their own. An issue with wired portable hard drives is how much power they use and where they get it from. They are usually powered through a USB connection – and their power consumption is much higher than your keyboard or mouse. This means they’re fine when connected to a computer, or powered TV port, but might not work when connected to a mobile phone or tablet. Wireless portable storage devices have a battery, meaning they don’t need a power source to operate. Some are simultaneous dual-band, meaning whichever WiFi band your device uses, it can connect to the wireless portable storage device. Many wireless portable storage devices have solid state drives (SSD) (see SSDs and HDDs). Some wireless portable storage devices don’t have built-in hard drive. Instead, you connect external storage devices, through SD, micro-SD or USB ports. For example, you can plug in your camera’s SD card and transfer files to a computer on your home WiFi network and vice versa. Some wireless portable storage devices have built-in and external storage. Solid state drives (SSD) have a series of flash memory chips. This means they have no moving parts, which makes them more resistant to damage. In comparison, a hard disc drive (HDD) has a spinning magnetic disk – hence the whirring noise you can hear when it’s running. An external hard drive’s speed affects how quickly it transfers data. Throughput is the name for the write and read speeds, showing how fast it stores and retrieves data. Throughput speeds are measured in Megabits per second (Mbps). We suggest a read or write speed of at least 600Mbps. Due to their portable nature, external hard drives can be a tempting target for thieves. To help prevent this, many external hard drives have a low-profile slot (called a “Kensington lock slot”) that can lock your external hard drive to something solid, such as furniture. Kensington locks can’t entirely prevent theft as a hard drive’s case can be broken when pulled with enough force, but they will stop opportunistic thieves. When looking at data storage, we recommend an external hard drive with twice as much storage space than you need. For example, if you’re storing 1TB of data, look for an external hard drive that can store at least 2-3TB. External hard drive capacity can range from as little as 500MB up to 10TB. If you think an external hard drive offers too much, or too little, storage – there are alternatives. If you’re only storing a small amount of files (less than 100GB), thumb flash drives can be a cheap and durable storage solution. If you want to store more than 10TB, then consider getting a NAS system. 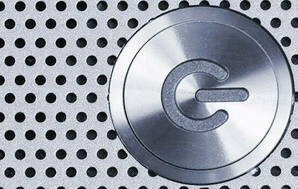 These systems contain a number of hard drives, which also means you can increase storage capacity. Another option is storing your data online in the cloud. There are a range of services available, which offer different storage limits and let you access your files from anywhere. You should note, a hard drive can potentially fail at any time. So when it comes to your vital data, such as medical, banking or family records, and you have more than one storage device, we recommend storing additional copies on each device. This means if one of your devices fails, your data is still safe. If your internal or external hard drive fails, is corrupted or you just want to delete everything and start from scratch, you will need to format it. When reformatting a hard drive, you need to choose a file structure. There are a variety of file structures available, with various size limits and compatibility with different operating systems. Most Windows hard drives use NTFS (New Technology File System), as it can accommodate large files and large hard drives. The FAT32 file system has a size limit of 4GB, so it’s generally only used for flash drives. OS X hard drives generally use HFS Plus, which is inherited from the classic Mac OS. Some OS X versions can read and/or write to NTFS and FAT32. 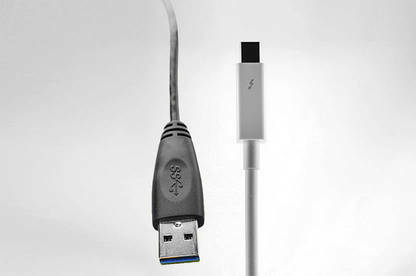 Thunderbolt is Apple’s proprietary connection type while USB 3.0 is the latest version of the regular USB port. Both offer faster transfer speeds than USB 2.0 or 1.0, Lightning and Firewire. USB 3.0 (left) and Thunderbolt cables.